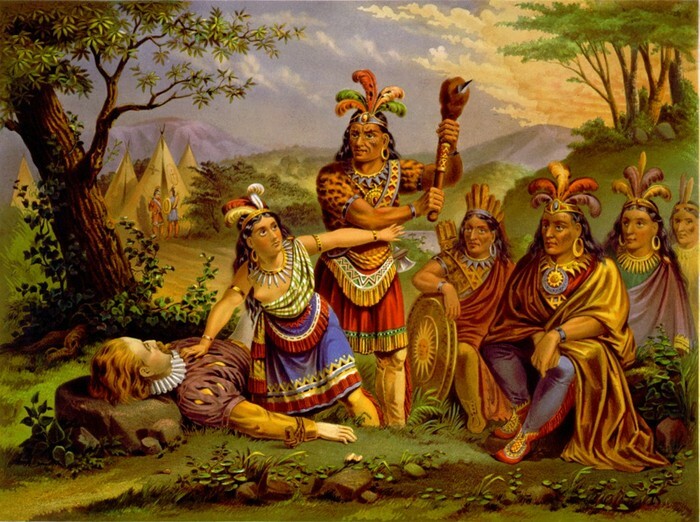 "Pocahontas contributed greatly to the growth of Jamestown"
While early settlers were exploring new land, they met Native American tribes, and one of these tribes was the great Powhatan tribe. Pocahontas was a Native American in the Powhatan tribe. She was the daughter of the Powhatan chief. 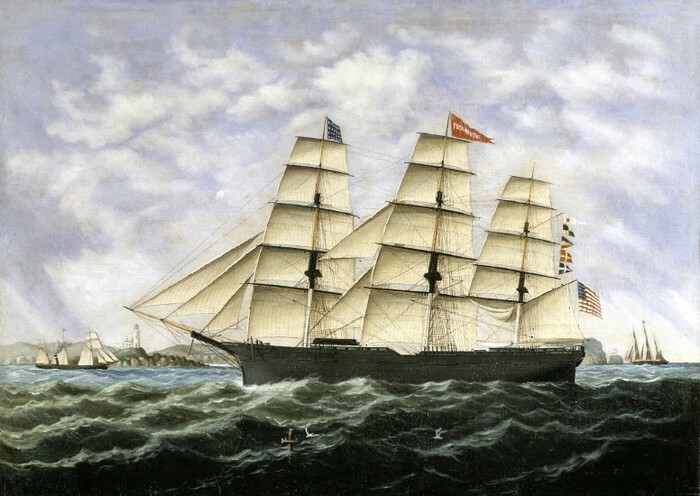 She was very young when she first came across American settler John Smith, who was one of the new settlers. 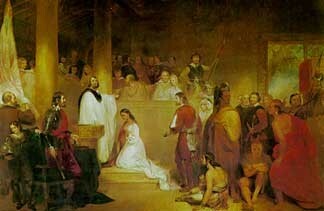 According to John Smith, he was kidnapped by the Powhatans and Pocahontas bravely saved him from death punishment. This story became a legend and is known across America. Pocahontas is mainly famous for saving John Smith from death by bravely putting her body in front of his when he was going to have his head smashed. The Virginia Company noticed Pocahontas as a great example of American/Indian harmony and government propaganda. 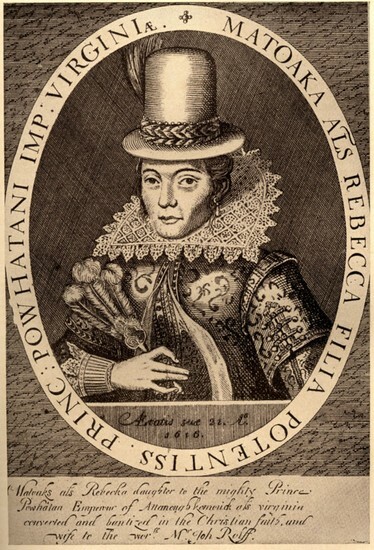 Pocahontas was sent to England because of her popularity, but got ill and died sailing back to Virginia. Pocahontas accomplished a lot during her life, including saving the life of John Smith and changing the way Americans viewed Indians. She was very skilled at communicating with Americans. Many people, including the Virginia Company, noticed this and it changed how they felt about Indians.